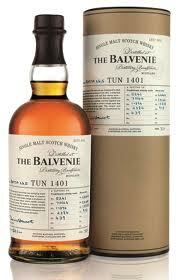 Whisky Advocate has named William Grant & Sons’ Balvenie Tun 1401 Batch 5 as its Speyside Single Malt Scotch Whisky of the Year. The 50.1%-abv product retails for £161 ($253) a bottle. The individual winners from the 19th annual installment of the Whisky Advocate Awards are being unveiled one day at a time at WhiskyAdvocateBlog.com, and will also be featured in the magazine’s upcoming Spring edition, due out March 1.